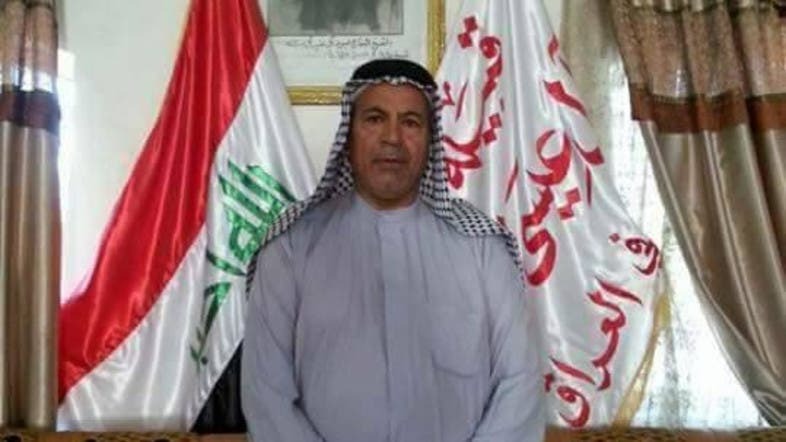 Iraqi governorates of Karbala and Najaf are witnessing a security alert after news circulated about the brutal way in which Sheikh Nema Hadi al-Issawi, a leader of one of the largest tribes in Karbala, was killed during his visit to the Iranian city of Mashhad about three months ago as his tribe threatened to target the Iranian interests in the Middle Euphrates area in retribution. In the details of the incident, informed sources told Al Arabiya that a group of people brought al-Issawi to a high place in Mashhad “where he went to visit the shrine of Imam al-Rida and carried out a surgical operation." According to the sources, the group “deformed, burned and threw the body of Sheikh Al-Issawi from the high mountains after stealing his money”, while the motives behind the murder still remain unknown. Sources have alleged that Iraq’s government tried to cover up the murder and took measures that went in vain. “The Al-Issa tribe has threatened the Iranian interests in the Middle Euphrates region,” one source has said. In order to calm the tribe, Hadi al-Amiri, the leader of Al- Badr militia and who is close to the Iranian regime and the commander of Al- Quds Force, asked to attend the funeral of the killed Sheikh but the al-Issa tribe refused the request and prevented Amiri from entering its houses in Karbala. Although official sources accuse an “unknown gang" of al-Issawi’s murder, members of his tribe accused “Iranian people who were served by the Sheikh when they were visiting Karbala city” that they killed him. The members of the tribe confirm that the Iranian government is "not serious" in holding the criminals accountable, according to a video posted on YouTube. Sheikhs of the al-Issa tribe revealed that “the Iranian authorities did not hand over the body of the deceased until three months later and did not write that the cause of death was murder, but only mentioned that it was a regular death in the death certificate”. Several members and tribal elders in Karbala have requested the Iraqi government and the Ministry of Foreign Affairs, to intervene immediately in order to investigate the circumstances of the incident in Iran and requested “to take the most severe punishment against those responsible”. The Iraqi Foreign Ministry was forced due to the escalations to issue a statement on Saturday confirming they are following up on the incident. “The Ministry of Foreign Affairs of Iraq, through the Embassy of the Republic of Iraq in Tehran and the Iraqi consulate in Mashhad with the concerned Iranian authorities are following up the ongoing investigations into the crime that Sheikh Nima Hadi al-Issawi was subjected to after being kidnapped and killed in a terrible way inside Iranian territory”, Spokesman for the ministry Ahmad Jamal said in a statement. Jamal pointed out that the investigation is underway with one of the suspects in the case and the ministry will be keen to follow up all the details of this crime with the Iranian side until the perpetrators are arrested and brought to trial to receive their fair punishment. For his part, the head of the tribal committee in the Iraqi parliament, Abboud al-Issawi, stressed that “what is strange in this case is not caring about the Iraqi blood, as the Iraqi and Iranian authorities did not confirm the crime, trying to hide it and consider it an accident and not a crime”. He asked the Ministry of Foreign Affairs and the Iraqi government to intervene in a serious and genuine way to regain the right of the deceased citizen and punish the criminals, “even if they are in an another country”.